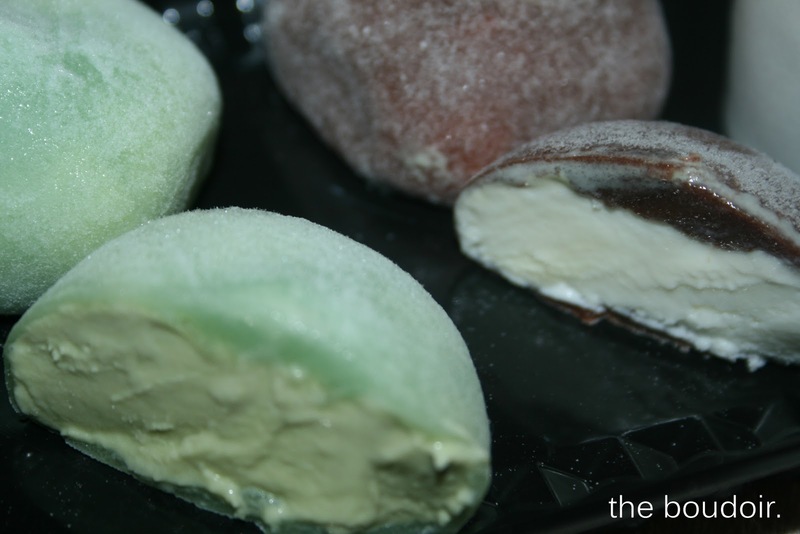 I love mochi ice-cream. 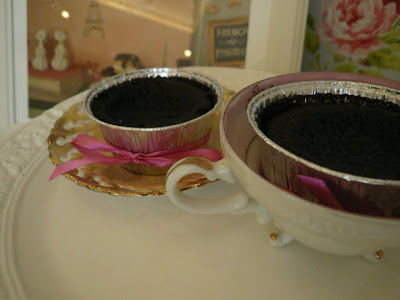 Its a well known Japanese confection and you will probably find it only in Coffee Rebublic in 360! 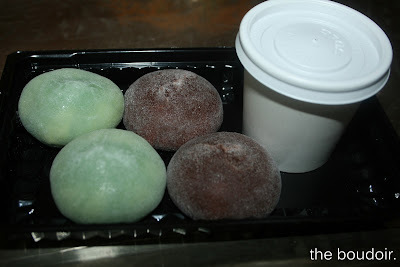 I reviewed the ice-cream once, just in case you don't know what mochi is, its a glutinous pounded sticky rice filled with ice-cream. Available flavors: green tea- blueberry- chocolate & coconut - mango - passion fruit - lychee. 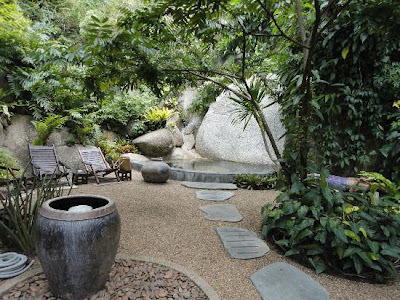 Simply the best spa I've ever been to. A whole new experience. 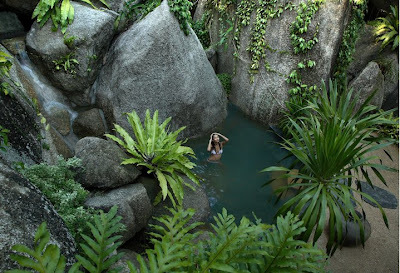 You go into this forest spa and forget there was even a civilization you belonged to. The award winning Tamarind Springs is a must to any Koh Samui visitor. Reservations are required and you can do them online. You can also book a pickup car from and to your hotel. I have to warn you that the whole spa area is unisex. Good thing that the place was so peaceful and huge that I didn't bump into that much of people, so I just bumped into 2 couples. 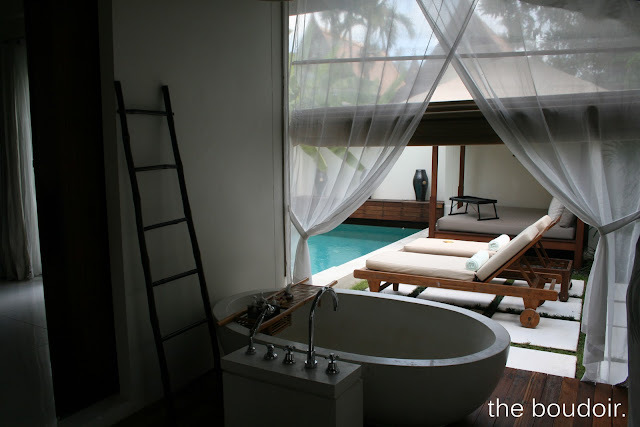 Swimsuits are required, and you will be given a sarong to wrap around yourself. I chose the "Forest Dreaming" treatment (4 hours). You spend 1.5 hours using 3 rock plunge pools with tiny waterfalls, steam cave, and another steam cave that you have a scrub in . Through all this, you will be unaccompanied. The steam caves look like a sauna and they smell so good and unlike the usual steam/sauna rooms, you don't feel like you're going to faint, plus they've got these huge cool water jars everywhere around the place. 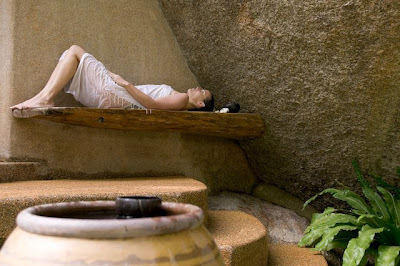 These water jars are used to cleanse yourself before getting into the plunge pools and to cleanse after the scrub. After you're done you climb rock stairs to a relaxing area just before you start your chosen type of massage. 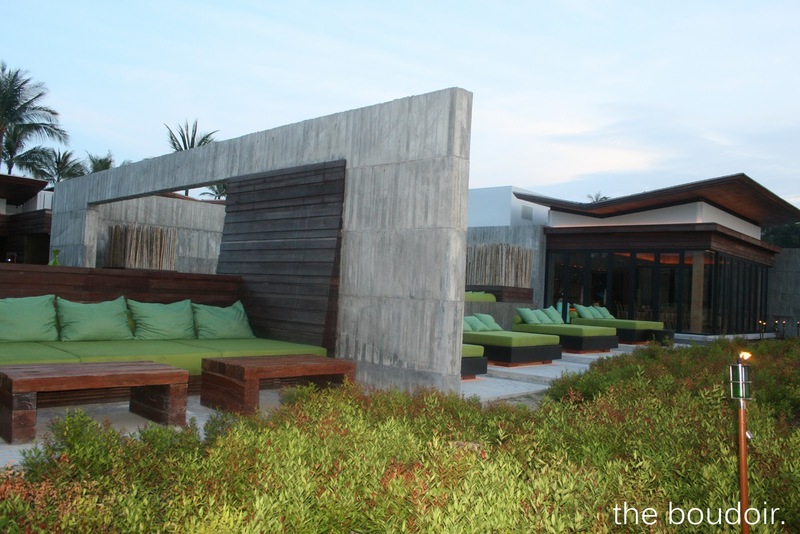 There is a rock plunge pool and an open air seating area where you will find a tray with your name printed on it. 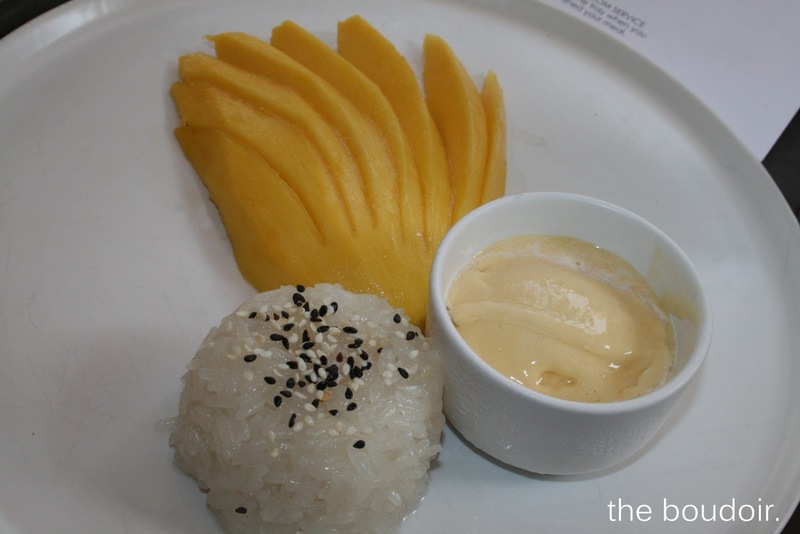 It has some healthy snacks, rice wrap spring rolls, fish cakes, watermelon, and pineapple. For the drinks its self service, I got myself my favorite virgin mojito. 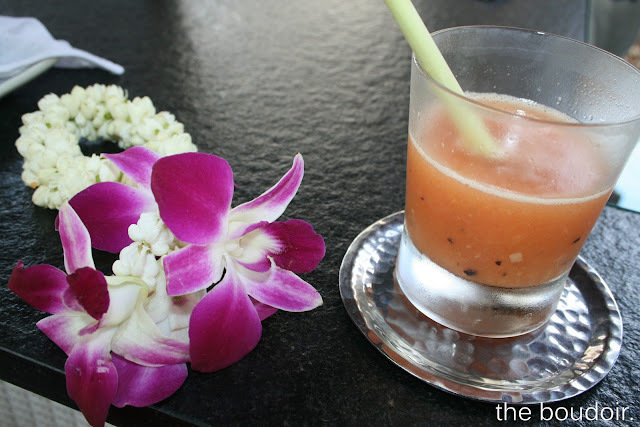 I also recommend you try their tamarind ginger juice. It tastes better than it sounds. 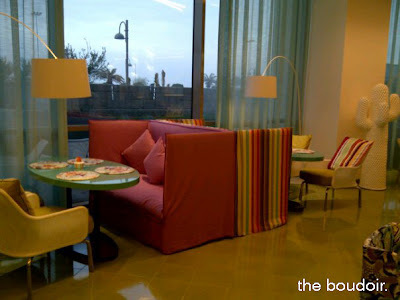 They give it as a complimentary at the reception area and you will find it in this relaxing area. After you're done you wait for your masseuse to come take you to change and start your massage. The massage was the best massage I ever had! I chose the "Twice as Nice" massage treatment, the one with the hot herbs wrapped in a cloth. It not only smelled good in the open air hut high up on a hill, the scenery and surroundings of long trees and all types of birds with beautiful sounds were so magnificent that I didn't want the 2.5 hours to fly by so fast. At the end, when it was dark, she gave me a head massage and a small hair side braid at the top of my head. 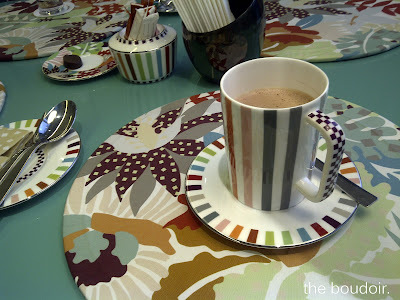 The other week, looking for a quiet place to chill, we thought why not go check out Choco Cafe at Hotel Missoni which has just recently opened. 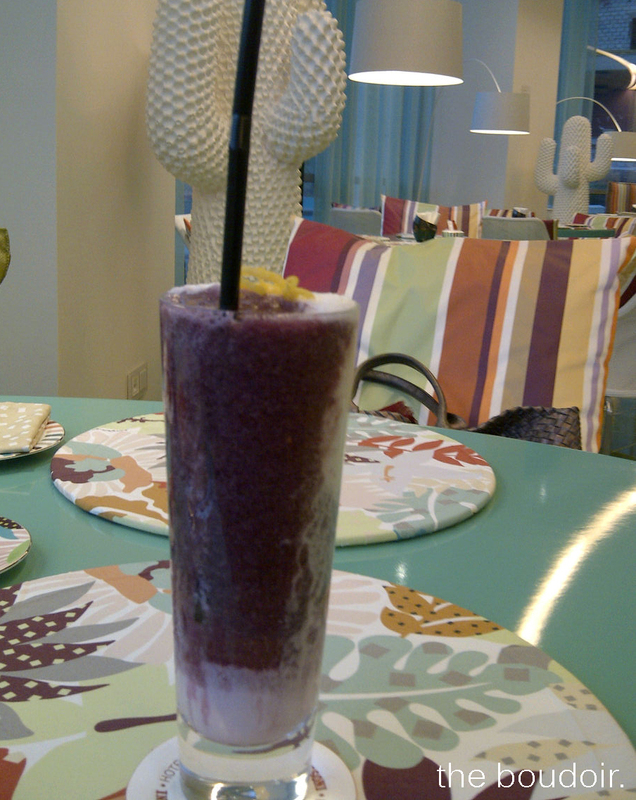 White Chocolate Raspberry drink! Really good! Thank you Madame Sucre ! Got those lovely treats of brownies and chocolate moltens after I wrote the post about Madame Sucre's vintage bakery. 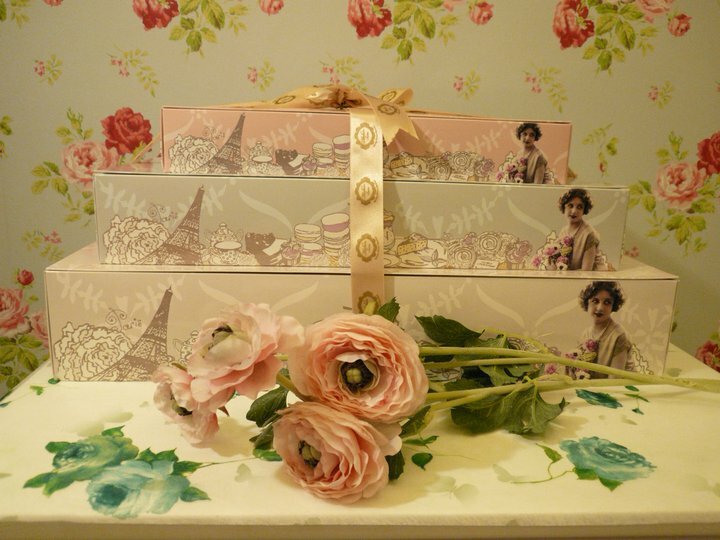 Thank you very much Madame Sucre! 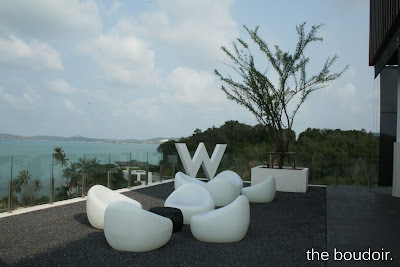 The main reason I went to Koh Samui, Thailand, was to be part of W Samui. 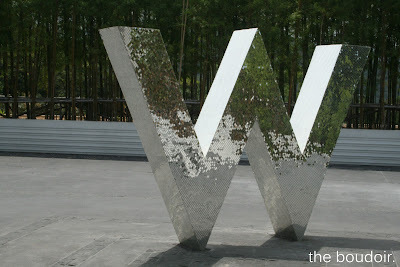 It just opened recently on November 2010. 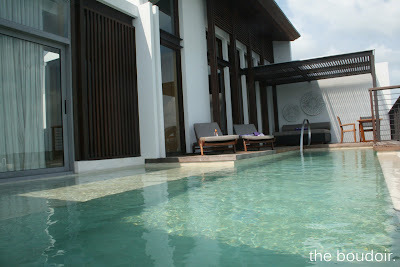 Extremely modern hotel which has pool villas, some with drect access to the beach. Lots of sea activities including jet skis and ski parachutes. 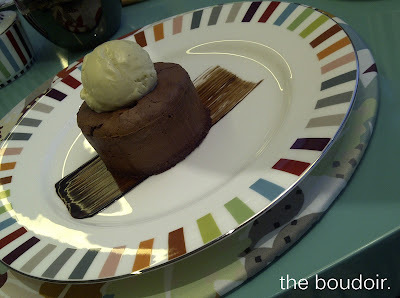 Amazing service, amazing room service, amazing everything. We loved their in-room dining. 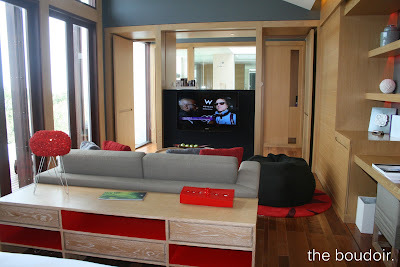 We adored their rooms. I tried two types of room, Ocean View Escape (located on top of the hill with complete privacy) and the Ocean Front Haven (directly on the beach). From what they say, is that all rooms are the same and its true these two rooms were exactly the same. Huge and spacious. 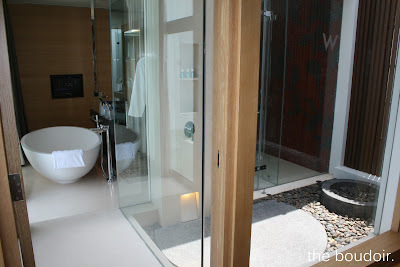 The bathroom is a room by itself with an outdoor shower and direct access to pool if you prefer from the bathroom. Great Japanese restaurant called Namu, which I hughly recommend, choose outside seating, Great lounge areas! 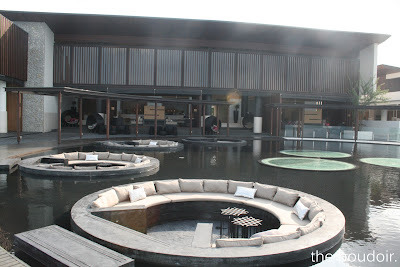 One located near the lobby area and its called Wooba and the seating is spectacular high on the hill. 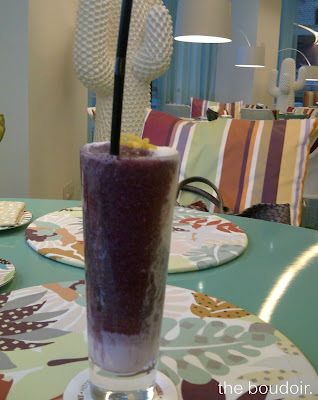 The other SIP (same name as the one I sat in W Maldives) is located on the beach area. 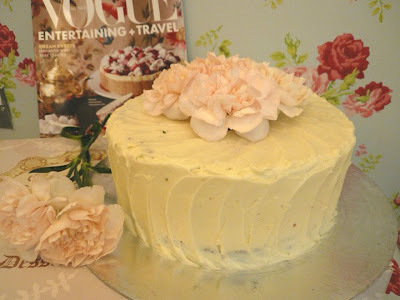 This pretty vintage bakery was established by the sister of one of my friends. 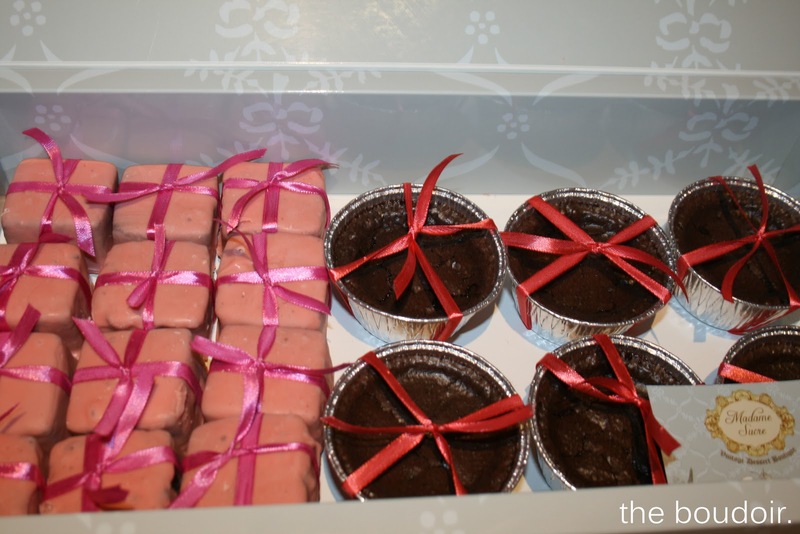 I've tried her chocolate cubes which you stir in milk to create hot chocolate more than a year ago, and I loved it. 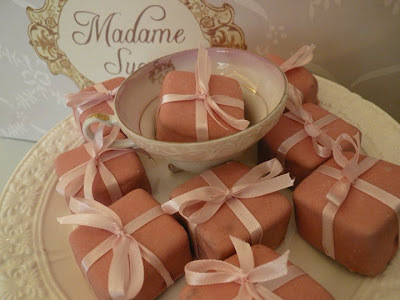 So I was ecstatic to know she created Madame Sucre! Its a home delivery business for now. 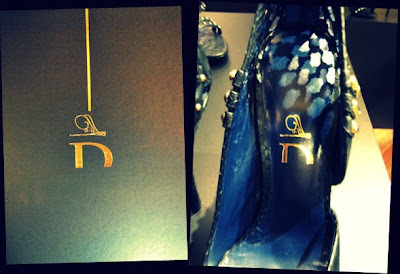 As I have wrote in a previous post, Darmaki shoes, were to be introduced in Paris Fashion Week. That was a few days back. 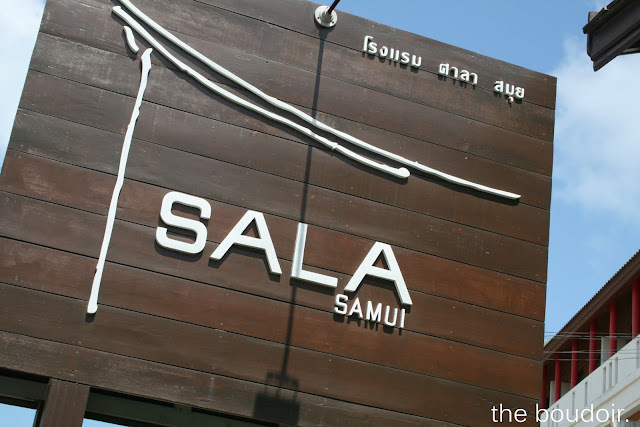 I have wanted to try the resort last year in Phuket, which was the first location to introduce Sala Resort. 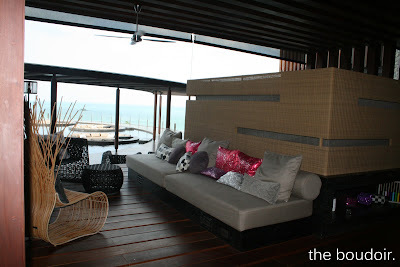 The other was in Samui and has been recommended by a friend. She mentioned how she loved it and said they had great food. I totally agree. 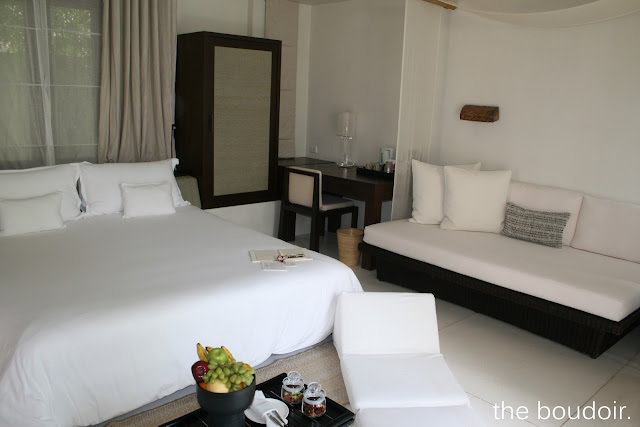 Just 15 minutes away from the airport and near the best areas there, this very reasonably priced humble boutique resort is a worth a visit. 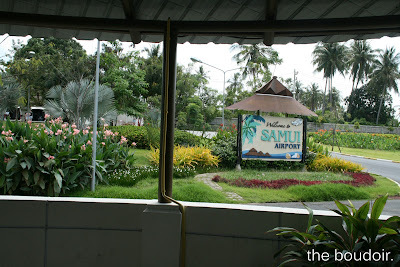 Travel Advice: Koh Samui, Thailand. 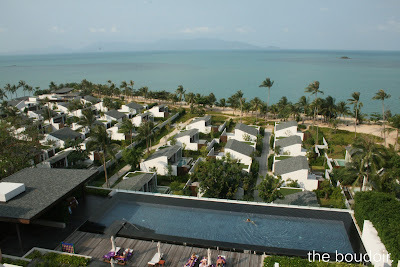 Koh Samui, a Thai island smaller than Phuket and much more luxurious. 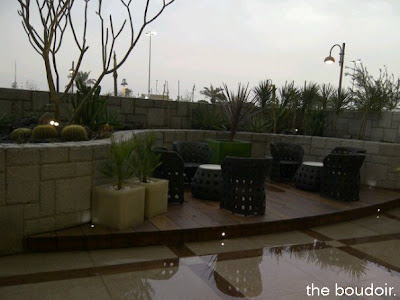 Its quieter and more aimed for relaxation. Shuttle bus looks like an amusement park open air train. This island have some of the best food I have ever had. Extremely good restaurants. Yes there's lots of clean food. 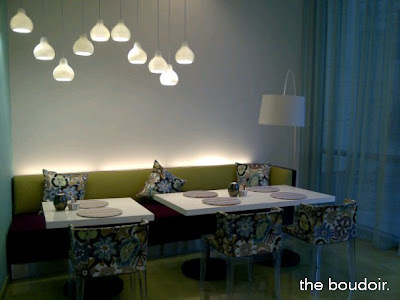 Bo Phut area has the best retaurants and they're classy. 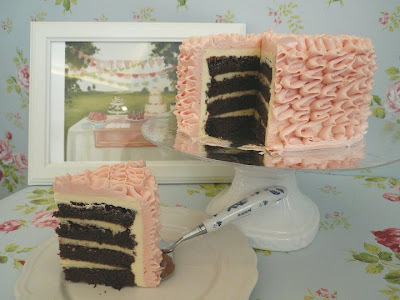 I will dedicate a post for tried places to eat there. 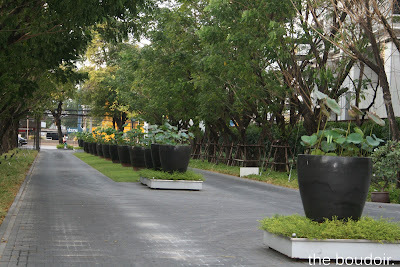 Fisherman's Village is in Bo Phut and it's a street with tiny boutiques and restaurants/bars. 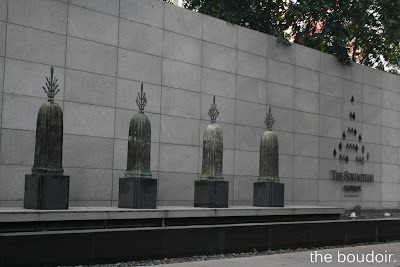 If you want the noisy more livelier place, where ﻿people don't sleep, its the Chewang area. An extremely long street lined up with shops, restaurants, cafes, bars, and clubs. If you're planning for a night there, wear flats (ladies) and be extremely casual (men). There is nothing fancy about this street. But the life there is so energising. 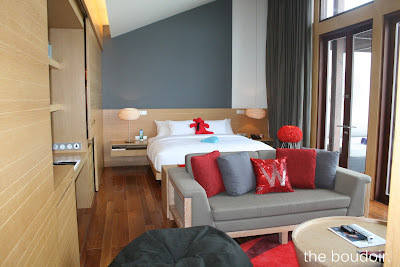 I was thinking that if you were looking for a hotel with a great location, then book a room at Chewang's The Library, a very modern design boutique hotel. We have been there twice just to sit in their open air sea front lounge! And we loved it. If it had private pools I would've stayed there. So I recommend this hotel to the men mostly. Do the island half day tour. You get to see everything worth seeing in the island in just a few hours. 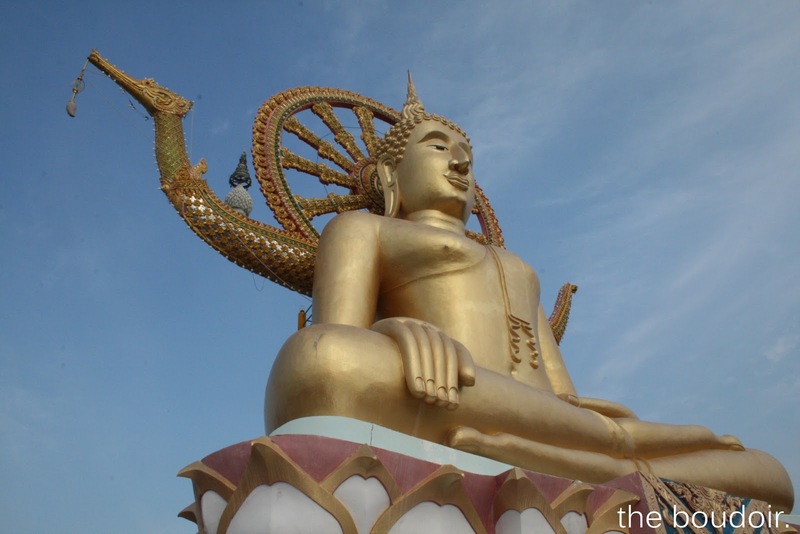 That includes an elephant/monkey shows, the huge Buddha, waterfalls, a temple, elephant rides, and more. You can also explore nearby islands and dive. There were lots of fireworks done there, I'm not sure if it had anything to do with the Chinese new year or that this was something they did on a daily basis. 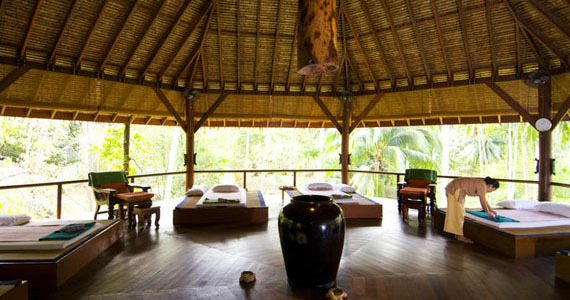 Like most of Thailand, you will find lots and lots of Thai feet massage shops. And spas. Don't count on finding good shopping malls there. There might be one department store and the rest consist of souvenier and other small shops. But who needs shopping, when you're surrounded by the beauty of the sea. Last week I visited Thailand again, the first time being exactly a year ago. 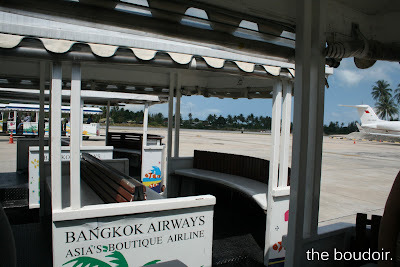 Bangkok was my first destination. 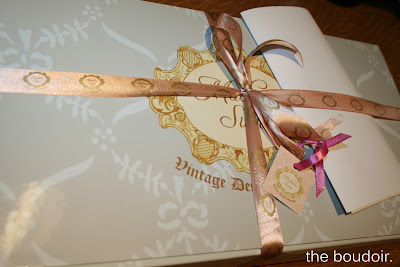 I wanted to shop because I didn't have the chance on my last visit. They've got great shopping malls there with really good brands. 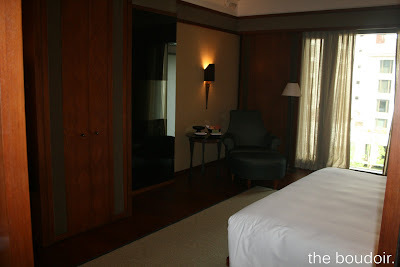 Being the person that I am, I wanted to try two hotels in the city. 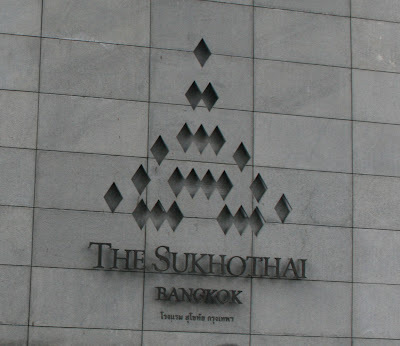 One being The Sukhothai when I first arrived, and the other hotel would be my accomodation before I leave the country. 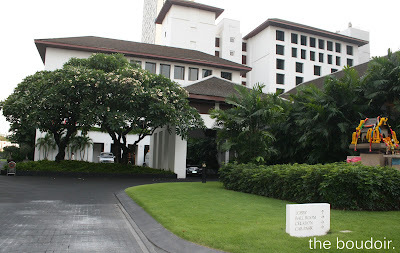 The Sukhothai is located in the prestigious quiet business and embassy district. 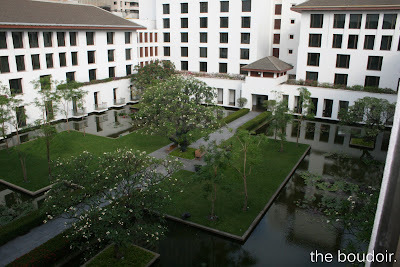 Banyan Tree Bangkok, the hotel I have stayed in last February, is just next door. 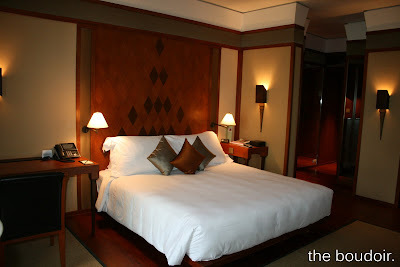 I would recommend this hotel if you don't want to witness the famous Bangkok traffic jams! 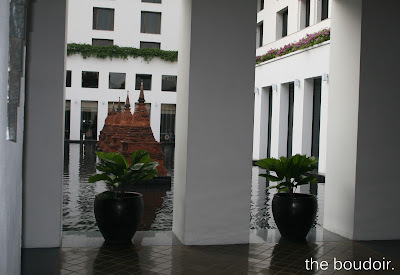 The hotel entrance is magnificent with all its gardens and landscaping. 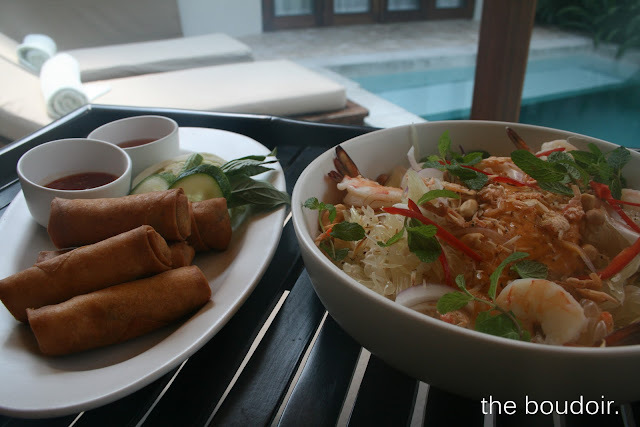 It has a one of the best restaurants in Bangkok, an award winning Thai restaurant, Celadon. In the weekends the hotel's lobby feature the chocolate buffet. I have to add the breakfast buffet is really good too. 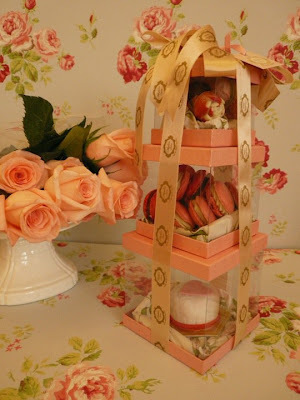 As for the room, it has everything you need and more. The bathroom has a feature I haven't seen anywhere else in the world. They've got chargers for every phone and for every Apple product.